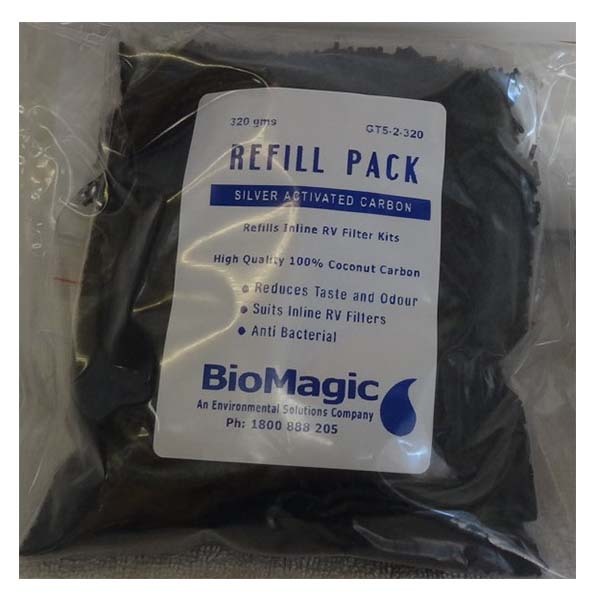 Silver activated carbon refill pack to suit the BioMagic Inline Filter. Containing silver stabilizing carbon with unique Antibacterial properties for premium water filtration. 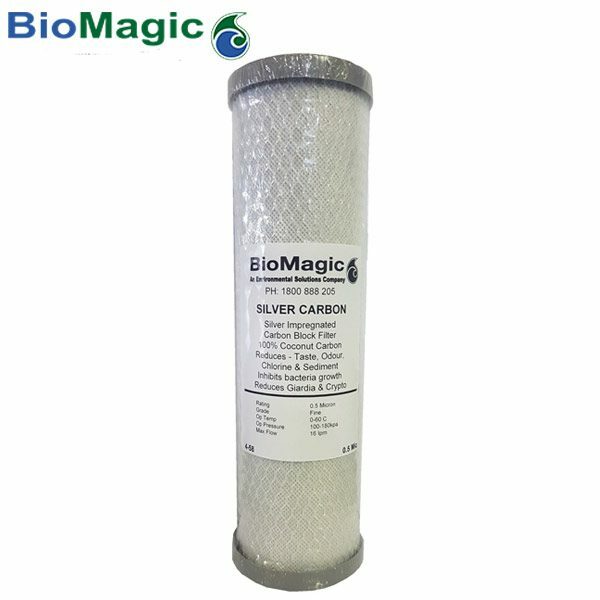 It will give you all the benefits of a quality carbon filter with silver to keep it safe between uses. Note: All filtered water should be stabilized for storage longer than 2 days. So if you filter into an RV water tank or container and it will not be consumed in 48 hours it should be treated to maintain its condition. 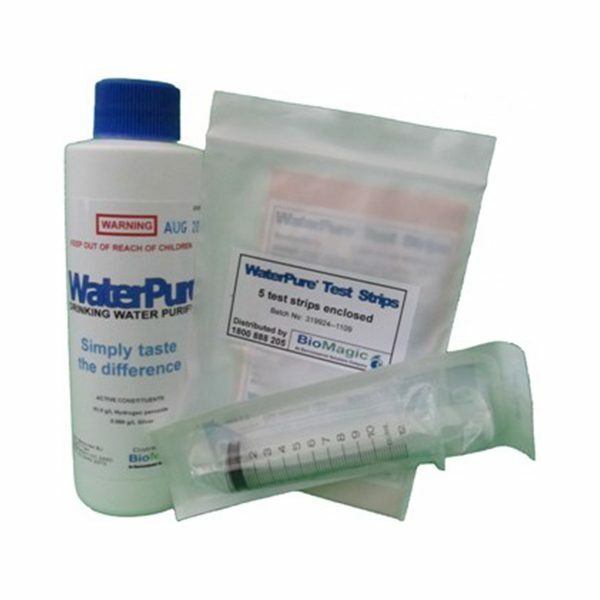 We recommend WaterPure drinking water purifier as it will stabilise the water, but also leave no residuals in the water and it can then be kept for up to 12 months or your next trip. Having travelled the country in our motorhome full time for the last 4 years, one of the things we have struggled the most with is the smell, or should I say the pungent odour that is eliminated from our Grey Water tank. Not to mention toilet smells. Then there is a constant effort to keep our water clean and healthy, and eliminate the tank taste you can get. So, we were excited to recently meet Jacquie from Bio Magic, who solved quite a few of our problems, with her range of Bio Magic products. 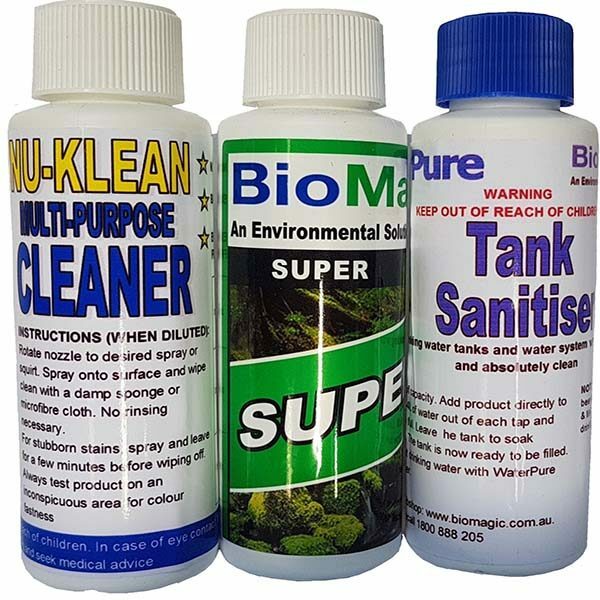 Bio Magic has a full range of products covering Toilet & Waste Management, Water Treatment & Cleaning Products, all designed specifically for Caravans & Motorhomes, but which can also be used anywhere else. Whilst Jacquie is a qualified scientist of 40 years, and is an expert in the field of water treatment, she insists that it is her 22 years of living on the road as a traveller in campervans and motorhomes that she attributes most of her experience to. And the best part is that the products are all SAFE, EFFECTIVE, ENVIRONMENTALLY SUSTAINABLE and will actually SAVE YOU MONEY in the long run. In fact, Bio Magic is one of the only products on the market today, currently approved and used by National Parks all around Australia. We recently spent the day with Jacquie and spoke to her in-depth about the Bio Magic Products. It was a real eye opener for us, and we learnt so much about how to use the product to treat almost any Toilet, Grey Water or Water issue you have. Read on below for the full details on each product. 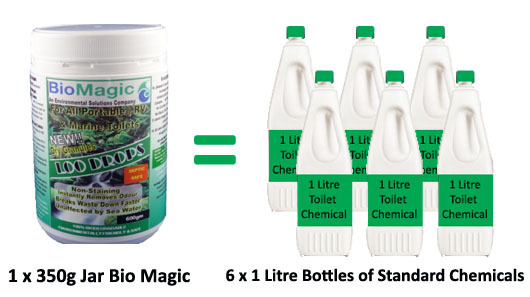 Bio Magic Loo Drops are ideal for any small portable toilets, cassette toilets in caravans or motorhomes, composting toilets or any septic or biological waste system you may have at home. 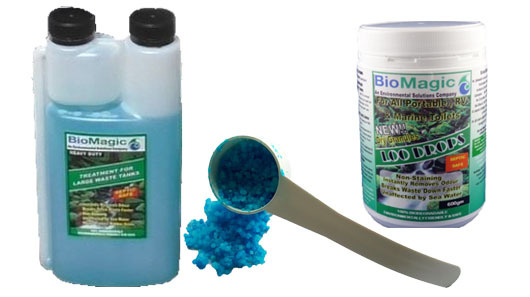 Bio Magic is available in both Liquid or granular forms, and has a long storage life. The dosage rates vary and are fully outlined in more detail on each product. Effectively a 350 gram jar of Loo drops could replace up to 6 x 1 litre bottles of the most common currently used green or blue chemical solutions. Plus, if you had a flush tank, up to another 5 litres of pink chemical solutions. 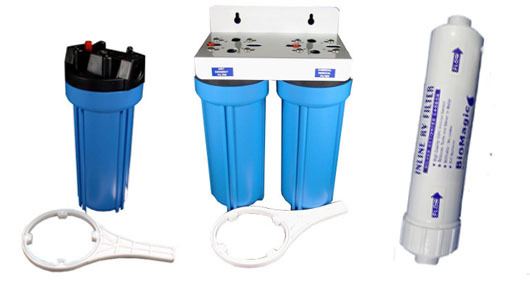 Bio Magic can also be used to treat Grey Water tanks. Grey water tanks come in all shapes and sizes, but the one thing they all have in common is after a few days of holding grey water, they will stink. What I didn’t actually know is why they stink so much. Jacquie explains the main reason behind this is the build-up of bacteria within the system from fats, oil, grease and the bits from the shower and laundry. In fact, Grey water tanks can contain more harmful bacteria than black water and build up much sooner as it is a more liquid and usually a warmer environment with high energy foods. 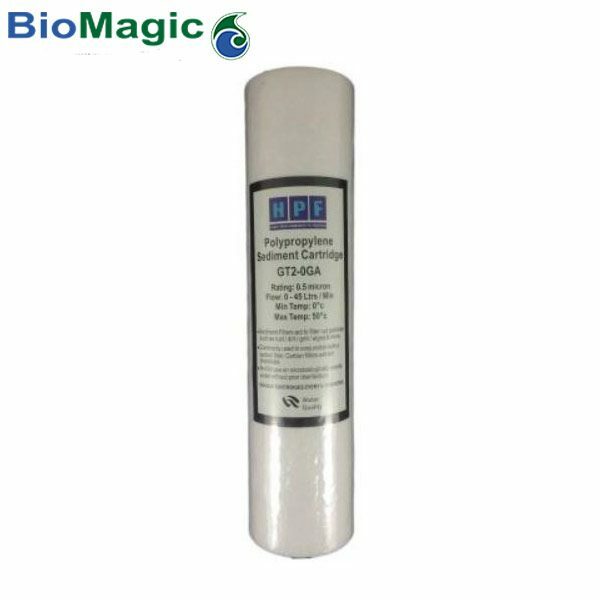 BioMagic is a bio-stimulant that adds oxygen to the endemic biology to create an aerobic condition in the grey water. This stimulates the naturally occurring bacteria, which quickly act on the contents, which simply put, treats the liquid so it ends up as liquid compost, water and carbon dioxide, minus the smells and no sludge on the bottom of the tank. 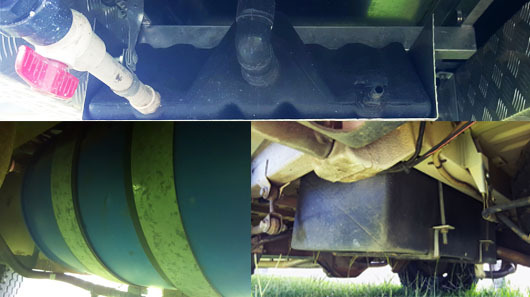 See how easy it is to treat your Grey Water tanks. 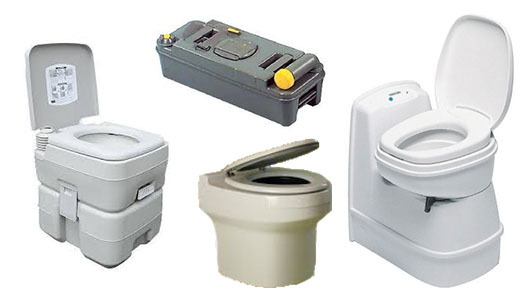 Which means, you can empty your Grey water into any type of waste system that you are permitted too, and know you can do it safely without harming the environment or causing any harm, and that is not going to stink out the neighbours. 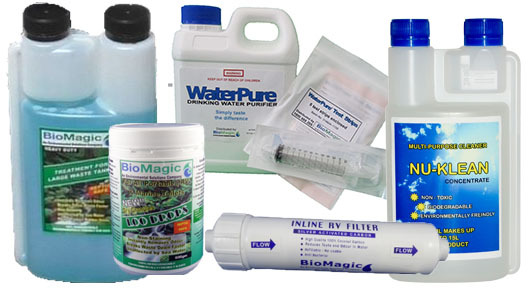 Clean water is the next challenge whilst travelling, and Bio Magic has that covered also. We found that being on the road and still getting good quality clean water can be a challenge. Over our time we have had water so heavily dosed with chlorine we were unable to drink it, and then the opposite extreme, was bore water with such a rampant smell, it too was undrinkable. WaterPure can fix that. Combining water in your tank from a variety of sources can be dangerous in the long run, so filtering is essential. But, ‘Filters ain’t Filters’ and even the best quality filtered water has no protection from new biological contamination, especially if you use it sporadically. 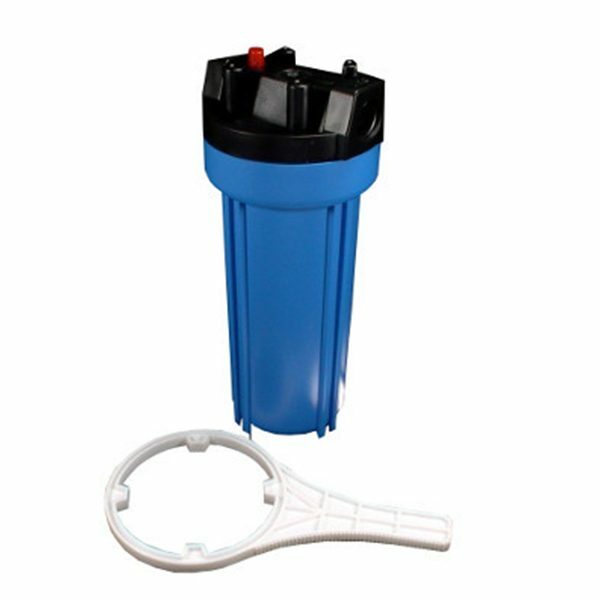 Domestic filters are designed for everyday use and this we don’t need when travelling, so between uses they can become very unfriendly. Hence, the reason Jacquie has chosen filters which include silver stabilizing carbon which means they prevent bacterial growth between uses. 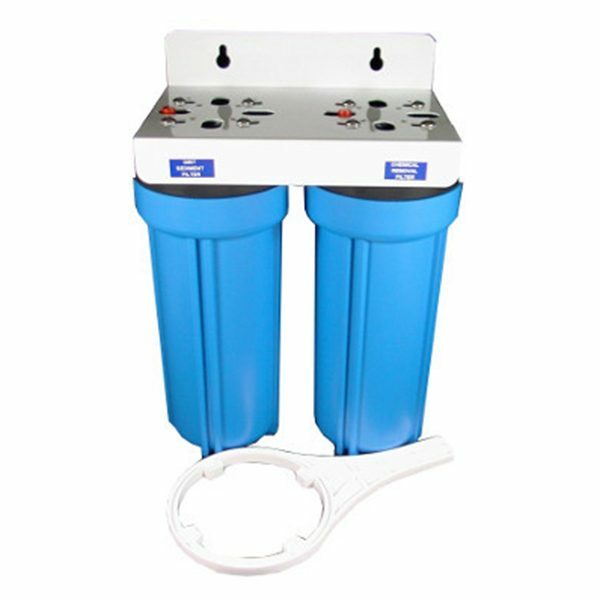 For those of us that put filtered water in our tanks she combines filtration with a water purification system to give safe, long term storage if needed. 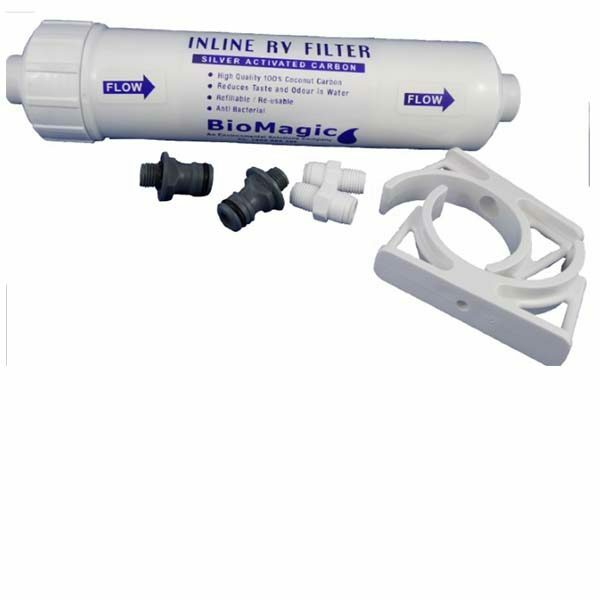 So, the Bio Magic water filters, as well as removing sediment, rust, dirt, smell, taste, chemicals, some metals, and most biology from your water supply, will also maintain themselves in-between uses. And they are unique in that the filter can be washed out and filled, which no other filter can do. So, they will not only give you great results, they will also extend the life of your filter. Now that we had our filtration system in place, we should now treat the filtered water in the tank to prevent and new bugs developing while the water is being stored. For this, Jacquie told us about Ultra WaterPure. 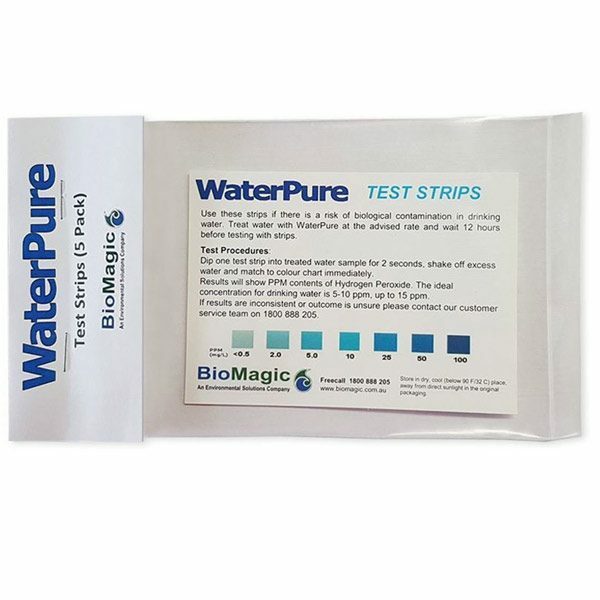 A safe Hydrogen Peroxide based solution that will purify any water, from any source by removing biological or macrobiotic contamination and leaving no residual chemicals. 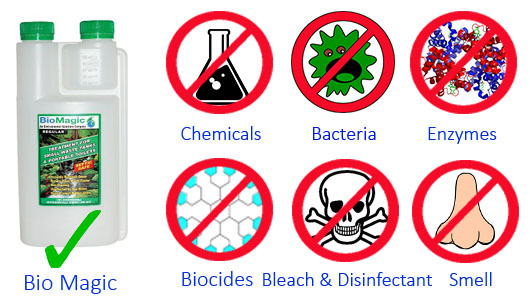 WaterPureTank Sanitiser cleans up any tank with an unknown history. It may have been a second hand vehicle, showing signs of Algae contamination or has a specific problem. 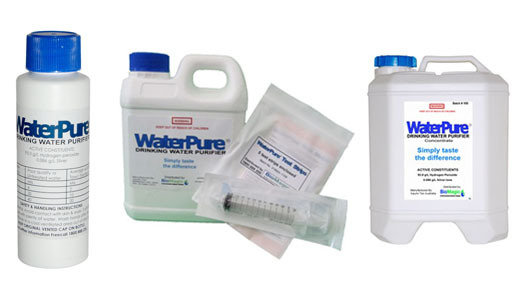 Ultra WaterPure will remove taste and smell without leaving any odours or taste of chemical residue. 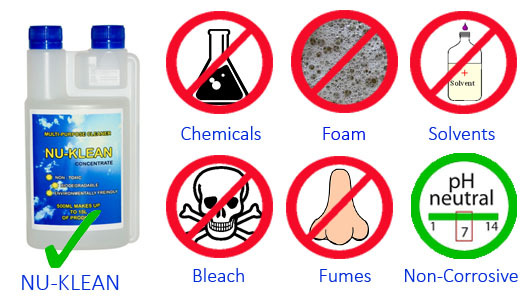 It will not form toxic compounds that can happen with chlorine. Another benefit is that it releases oxygen as it breaks down, which further enhances the quality of the water and makes it even softer. 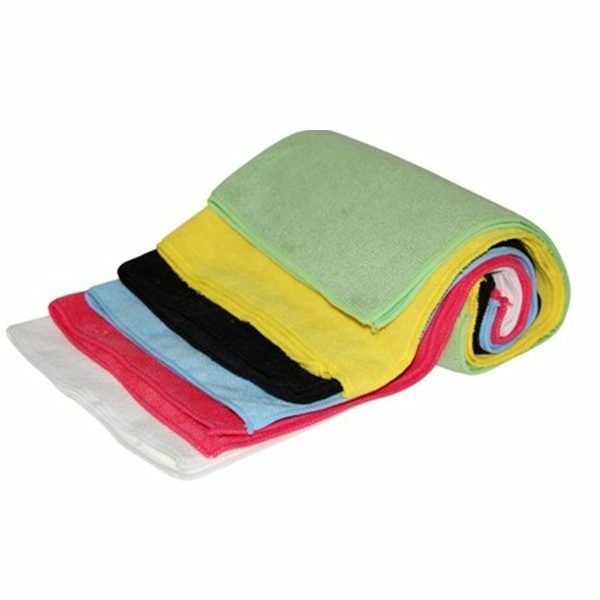 It will work in any caravan or motorhome tank, new or old, by cleaning it, then sanitising it leaving the tank in the best possible condition. 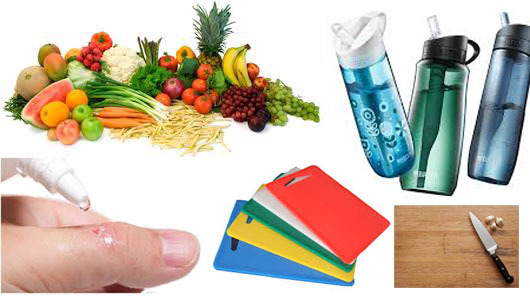 And, it can be left in the tank or container for up to a year between uses. 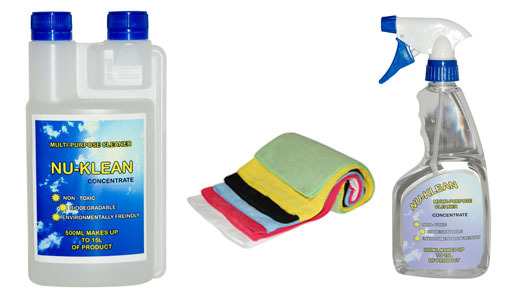 Cleaning is about all there is left to cover, and Bio-Magic has a solution for this also. 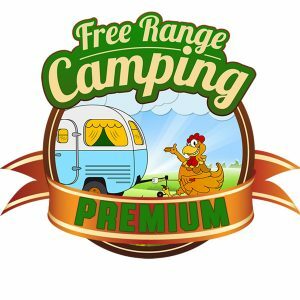 After being asked by so many people about what to use and seeing the damage caused to so many RV’s by the use of the wrong products, Jacquie worked for many years to test lots of products on the road. She finally came up with Nu-Klean Concentrate. 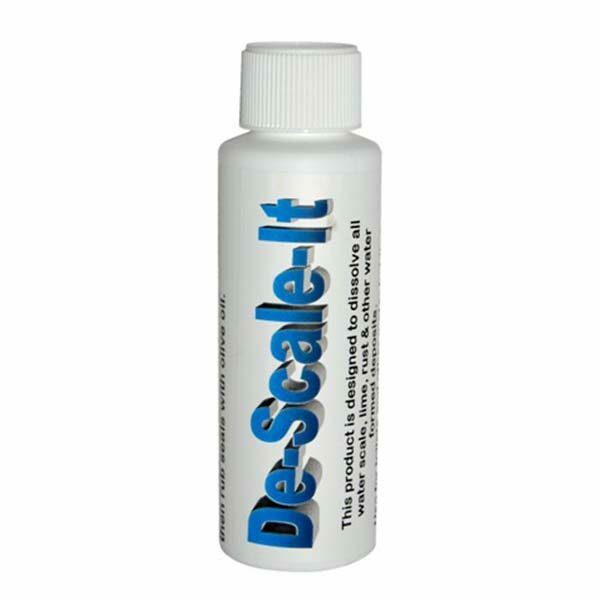 A single concentrated product which can be used for everything inside and outside of your RV. If you can wash it with water then you can safely use NuKlean as well. 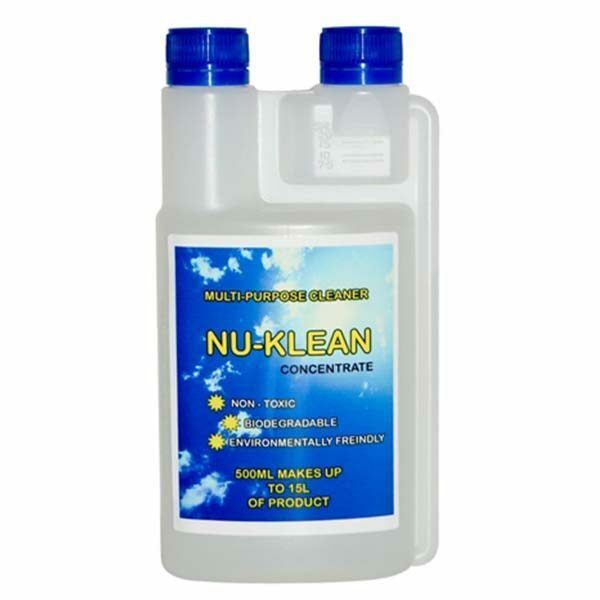 Once again Nu-Klean does this without harsh chemicals, fumes, foaming agents, solvents, bleaches and it is also pH neutral so it is not corrosive. 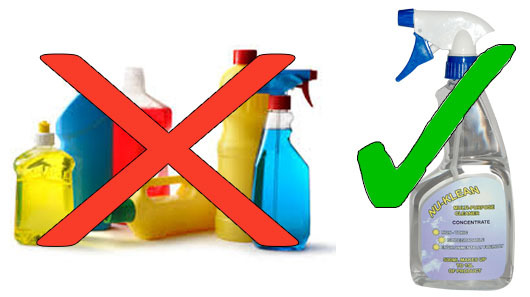 For us, and many of you, space is premium, so rather than have up to 6 different cleaning products, most of which are intended for the hard surfaces in domestic use, to have one bottle to cover all situations is ideal. Not only space saving but dollar saving as well. Simply dilute it into a spray bottle and its ready to use. This stuff is so concentrated, you only need a fraction of it diluted in water as it is so powerful, I actually could not get my head around how little it actually required. We started off using it on the dishes, but being a bloke and a little heavy handed, I like to see my soap suds. But, Jacquie pulled me back and I still got clean dishes. We then went on to clean a whole range of things in and around the motorhome.